The Collected Interior: Painted brick fireplace & family room makeover. Finished! 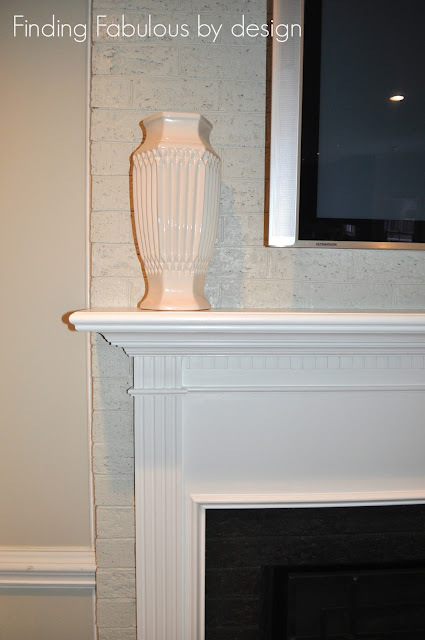 Painted brick fireplace & family room makeover. Finished! Hey guys, I've already shared a few pictures of our family room makeover, but today I thought I'd share one last gallery of the entire room painted and prettied up! 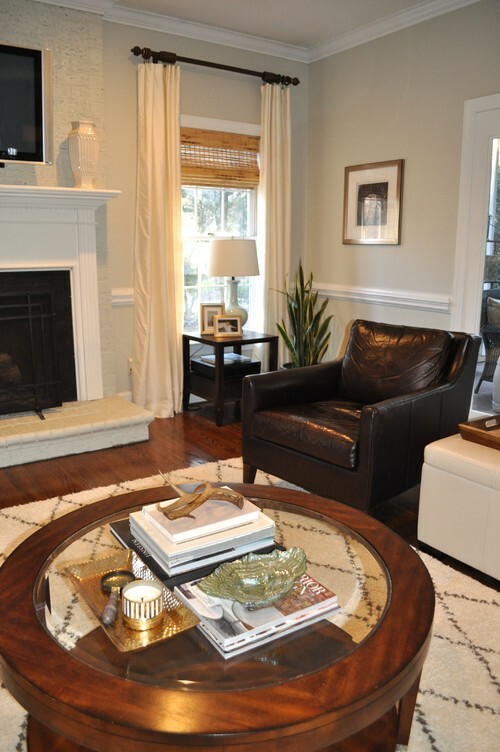 The result is a room that feels light and bright, as well as more modern and updated! 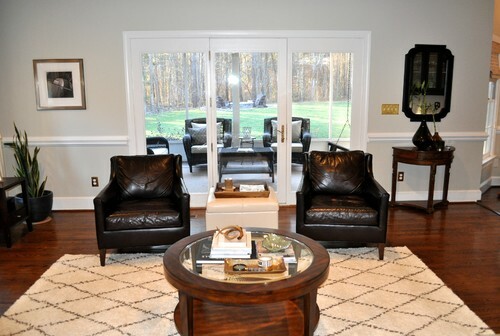 The family room opens up to our home office which you can read about here. Linking to The Best of the Nest! Jane the room looks fabulous!!!! I love the painted fireplace and the new wall color, it completely changed your room up! What a great space - I hope you can find some time to relax and enjoy it! I love a painted fireplace...it looks so clean and beautiful! Thanks Gabbi, that's what we said…it looks so clean and fresh! Thank you for linking to Whimsy Wednesday last week! 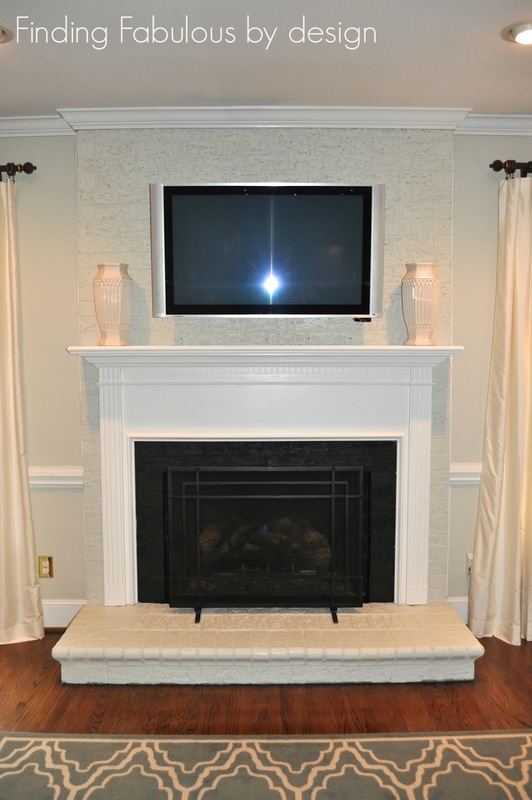 I featured your fireplace makeover in my featured project post! Gorgeous! Beautiful! Its amazing what white paint can do! You had me at painted brick! I love it! Great job! 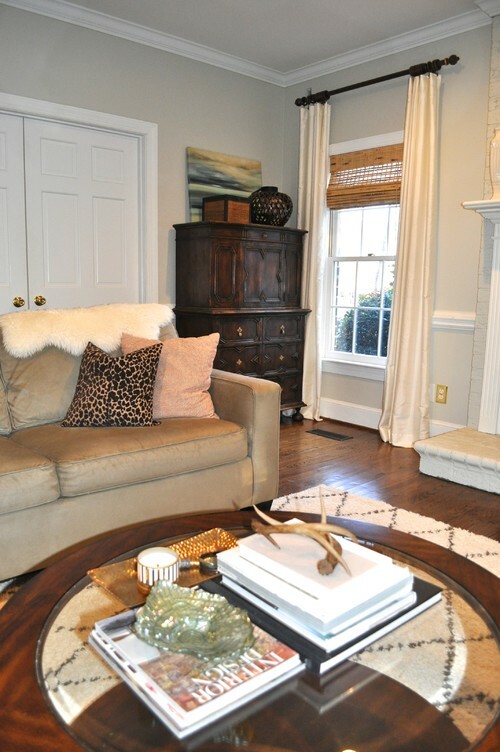 I'm such a fan of painting over brick fireplaces, and yours is the perfect example!! What an incredible difference, I LOVE the new lightened up vibe of the entire room, and can't wait to see what you have planned with the O'verlays. Thanks for sharing at Best of the Nest! Thanks Pam. We actually had a an O'verlay picked out for the mantle. But ended up loving the clean and minimal look of the mantle! I do want to try a project with O'verlays though! Jane, I kept having to go back and forth from your before to the after to believe that it's the same fireplace. What a transformation!! Thanks Kris, it really was a transformation. Hard work, since we did the work ourselves, but when it was all finished the hubby and I were like WOW, totally worth it!